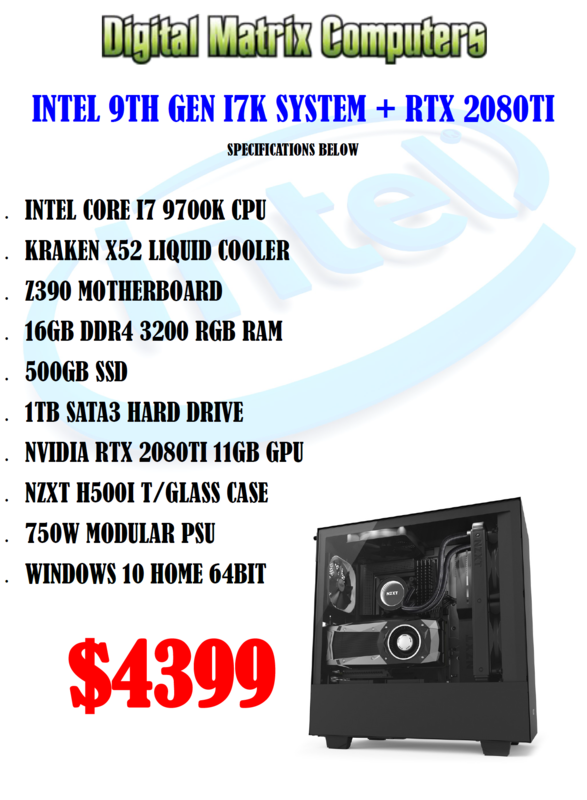 Intel 9th Gen i7k System - RTX 2080ti 11GB. Ultra Performance period for all current AAA Gaming titles at all Resolutions and Maximum details. 8 Cores Unlocked Faster CPU for smooth gaming and multitasking.